Downingtown Community Education Foundation (DCEF) has jumped in to provide children with all sorts of innovative enrichment programs, beyond what is normally offered public school children. The foundation is truly a community-wide project with all sectors taking part to ensure that the next generation has a rich educational grounding. The broad scope of this extra programming is impressive and we love the way Downingtown is pulling together for the sake of the kids. Kars4Kids: Why did you decide to create your foundation? How many schools and students do you serve? Director, the DASD Superintendent, and one School Board Director serving as ex-offico members of the board. 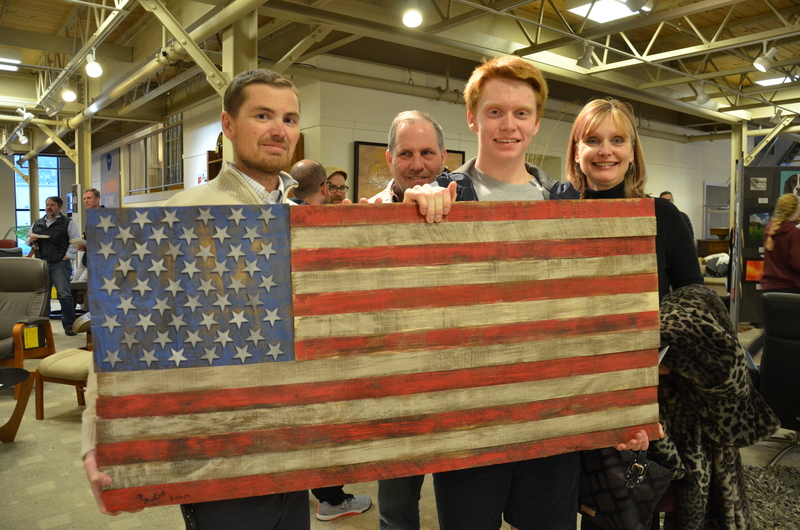 The Downingtown Community Education Foundation serves to unite various constituencies within the community – students and teachers, parents and alumni, businesses and community groups – in support of educational activities and the achievement of common goals. We believe that strong schools and school districts lead to strong, vibrant communities. Kars4Kids: Tell us about your robotics program. What will a child learn in this program? Why do you suggest that children take the course more than once? Jackie Fenn: We offer robotics classes for grades 1-8. The 1st & 2nd graders use Finch robots which are self-contained robots that the students learn to program using block coding. We integrate content areas in the experience so the students have the opportunity to reinforce subject content as well. For example, in Finch Tales the students write a story (focus on language arts); create a backdrop or “stage” for their finch (focus on arts); and have their finch to act out the story (focus on programming). 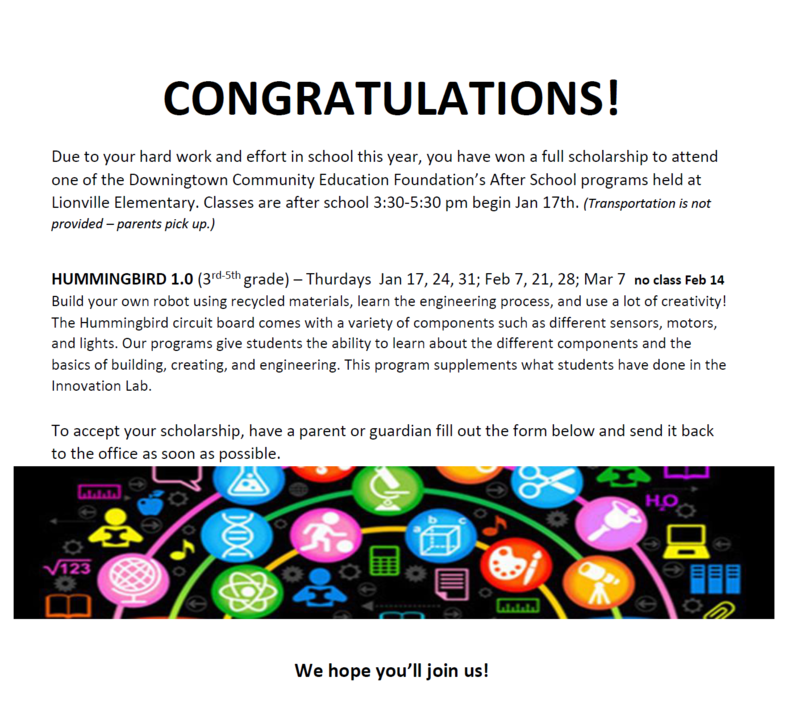 The 3-5th graders use Hummingbird kits with components (LEDs, display boards, motors, microcontroller, and etc.) to make their own robot out of basic craft materials like cardboard, foam, duct tape, etc. These students learn to engineer their robot and program it. The Hummingbird Robotics Kit enables endless ways to integrate STEM innovations through creativity and inventiveness. The 6-8th graders do programming with the Finch. The Finch is a very complex robot that can be used from elementary through college. It uses popular & real-world programming languages such as Scratch, Snap!, Python, and Java so the students an opportunity to learn different programming languages while see a tangible, physical representation of their code. Due to the diverse nature of the Hummingbird bot and its components along with the Finch, we highly recommend students take courses more than once to master all the skills at each level. Students can take a Finch or Hummingbird course as many times as they like and make something completely different with different levels of complexity every time. Kars4Kids: You offer a forensics course. Why does a child need to learn about forensics? Jackie Fenn: Forensic Science is all about problem solving, which is a real life foundational skill where many kids flourish. Our course offers game-like, hands-on learning that involves finding clues, piecing together puzzles and solving mysteries. Forensic science does not just expose children to Crime Science Investigations but to almost every scientific field; physics, chemistry, biology, and earth science. While students learn how to collaborate and communicate clearly their thoughts of the sequence of events during a crime scene, they quickly learn that there are many team members within the forensics field; fingerprint examiners, DNA analysts, forensic engineering scientists, criminalist, photographic log recorder, sketch preparer, evidence recovery personnel. These roles open up a world of learning opportunities for every type of learner and their difference interests. Kars4Kids: How many students participate in your rocketry course? What skills does a child learn from building rockets? Jackie Fenn: We have about 65 students in grades 6-12. Rocketry is really about engineering and craftsmanship. In the 21 century most kids learn early about how to manipulate the virtual world (ipads, phone, computers, etc.) but they no long get exposure to how to make tangible items in the real world. They most certainly get zero expose to what it takes to produce a functional product in the real world. At the lowest level, rocketry teaches kids very basic “maker” skills like using glue, an X-acto knife, sandpaper, and their own hands. The human hand is still the most incredible tool we have and most kids have no idea how to use their hands to make something tangible. At the mid-level, students start to learn the Engineering Design and Development process. They use CAD software to design a rocket that meats specific performance requirements, then they use simulation software to refine the design, then they prototype and test it, then they continue to refine the design based of real world test results. This the Engineering Design and Development process in a nut shell. At the highest level, advanced high school students learn professional level design and development documentation practices of the aerospace industry. They learn how to write a technical proposal, design review packages and test reports. The also learn how to make professional level technical presentations and incorporate feedback from reviewers into their work. Kars4Kids: Tell us about your Innovation Lab. Why is this necessary? What can you do in the lab that kids can’t do in school? Jackie Fenn: The Downingtown Area School District (DASD) is known nationwide for its STEM Academy and the quality of education at this high school however, there is limited exposure to STEM-based learning at the elementary and middle school levels. 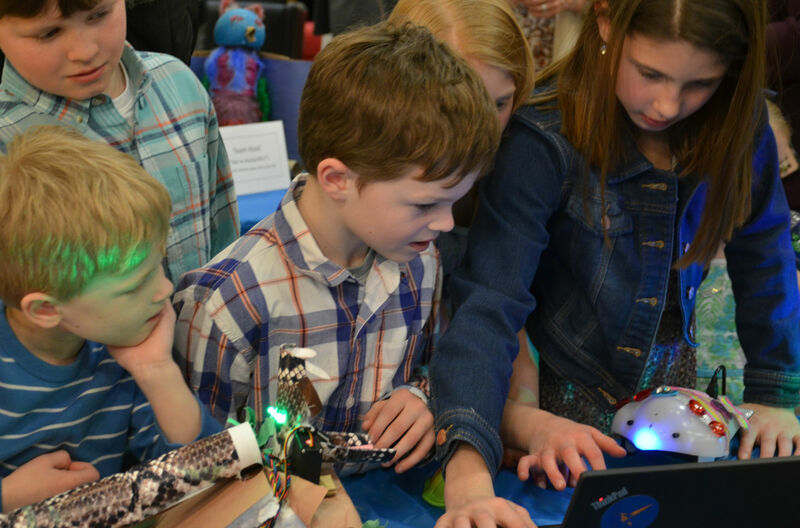 While DASD has included “Innovation Time” within the elementary curriculum and DCEF offers after school and summer enrichment programs, not all elementary schools have been able to implement this curriculum. Seven (7) of the ten (10) elementary schools are at a space disadvantage. The schools do not have an available dedicated room, nor is there a trained teacher capable of providing the instruction. The DASD/DCEF Innovation Lab! from DASD Public Information Office on Vimeo. The Innovation Lab is a converted handicap accessible school bus/mobile classroom that provides the space, teacher, and equipment in the most cost-effective manner. It would be cost prohibitive to provide the resources and staff in all 10 elementary school that are housed within the Innovation Lab. All 6,000 K-5 students regardless of gender, race, ability, or income will have similar exposure and opportunities to gain confidence in their ability to succeed in a STEM-related field. Housed within the Mobile Innovation Lab are all the tools, materials, and instructional supports for students. It has Wi-Fi connectivity, computers, robotics kits, and all other materials needed to ensure that all students have similar experiences and opportunities. The teacher/bus driver serves as a staff resource/trainer for other elementary teachers as the bus moves around the district. 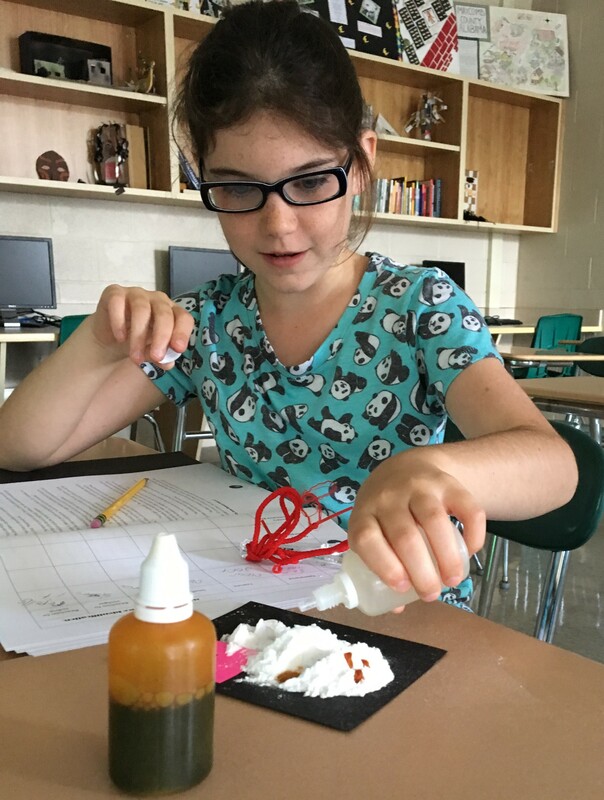 Students are challenged to discover, invent and understand through “making.” Project-based learning helps students use academic content from multiple disciplines to solve problems to work in teams. Kars4Kids: You have a grant program for teachers. Why is this important? Jackie Fenn: Downingtown Community Education Foundation supports innovation in education. DASD teachers are creative and highly skilled with great ideas, programs, projects and activities that emphasize new approaches to teaching and learning. DCEF is an “incubator” for DASD, funding programs on a small scale to determine viability, impact, and scalability for all students in the district. Kars4Kids: Tell us about your scholarship program. What does it say when the school gives a student a scholarship? Jackie Fenn: Downingtown Community Education Foundation wants to ensure that all children have an opportunity to participate in out enrichment programs. We raise funds throughout the year so we can provide that opportunity. Some of our scholarships are anonymous. The parent reaches out to the foundation and expresses a need. Their student is part of our programs – no one knows who receives assistance and who does not. Some of our scholarships are through the guidance departments and principals. They suggest students who would benefit from participating in our programs but whose families may have a financial need and are unable to do so. Those students receive a scholarship award. We also offer a free one-week Kindergarten Jump Start experiences to identified students in our Title 1 schools. Research shows that school readiness in Kindergarten is a key indicator of long-term success in school. Investing and supporting equal access to high quality Pre-K education yields benefits to children, schools and the community at large. There is a relatively narrow window, between ages 3 and 5, in which to best establish a solid educational foundation in most kids — especially regarding language. Research conducted by the Chester County Intermediate Unit as part of their UNIFY preschool program indicates that over 200 students in the Downingtown Area School District have been identified as being underserved and at risk. We provide a one-week experience taught by a kindergarten teacher and supported by PT and OT at no cost to the parents. They receive an invitation from the foundation to participate. Kars4Kids: You offer coding courses to students in 1st-5th grades. Is it usual to offer coding in elementary school? Why is coding an important skill? Jackie Fenn: All STEM/STEAM related programs are becoming more popular because there is a real need to provide all students with the opportunity to explore all STEM related fields. It is truly amazing what students as young as first grade can do! Students learn to use logic and problem solve. According to Steve Jobs, “Everybody in this country should learn how to program a computer because it teaches you how to think.” Learning the basics will help students in any career—from architecture to zoology. 71% of all US jobs require digital skills. 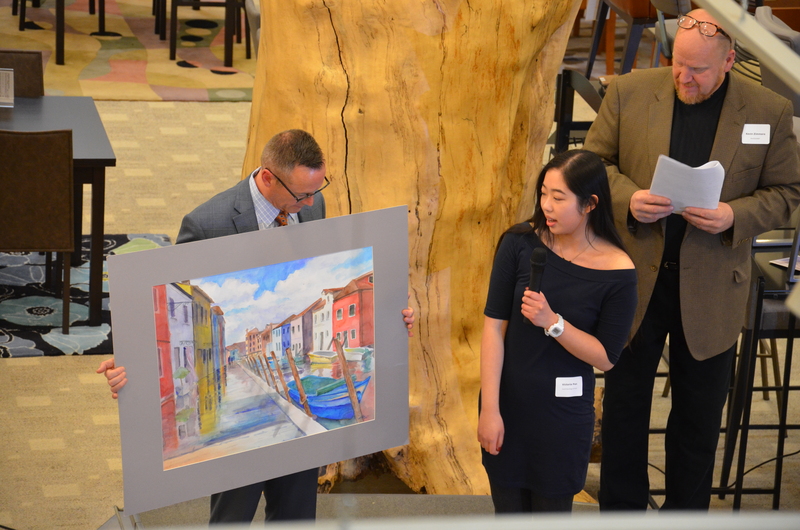 The Downingtown Community Education Foundation art gala showcases K-12 art and auctions off student, teacher and alumni art to support art in Downingtown schools. Kars4Kids: What is your most popular course and why? Jackie Fenn: It varies session to session because we are constantly adding new and different programs. All of our programs, however, focus on one thing – making sure the students have the opportunity to explore, create, and innovate. Kars4Kids: What’s next for DCEF? Jackie Fenn: In 2014, DASD opened the doors to a newly built Marsh Creek Sixth Grade Center. Every child in the district attends this school on their way to middle and high schools. DCEF is launching an effort to create a Nature Trail and Environmental Center behind the school, that will combine the ideal location, the opportunity to expand the science curriculum, and serve as a community asset for all. We intend to create a sensory-rich, meaningful experience for visitors of all ages. Plans include an outdoor environmental classroom, an open air amphitheater overlooking wetlands, meadows and woods, and a nature trail. The trail will also include stations focusing on biomimicry, conservation, water preservation, threatened species, native flora, fauna and mammals, regeneration, vernal pools and more, which expand on the required environmental science curriculum for sixth grade. This facility will provide hands-on, discovery based learning for students in all subject areas. The science curriculum at the 6th grade focuses on the Environmental Sciences. The environmental and ecology PA Department of Education standards bring together the natural and social responsibilities to make our world sustainable. Students will be able to be active participants and problem solvers in real issues that affect them, their homes and their communities. This will be a collaborative effort with local businesses and community leaders working with administrators, teachers and students to ensure that the project will meet/exceed curriculum needs and be a long-term asset to our community.